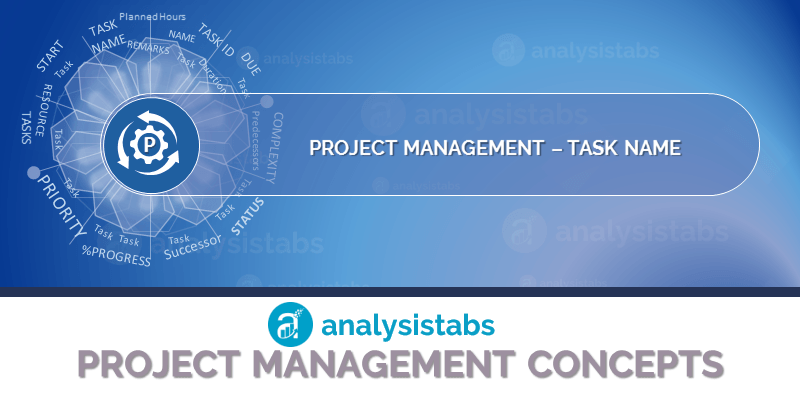 Task Name Field in Project Plan Template - ANALYSISTABS - Innovating Awesome Tools for Data Analysis! Task name is shortest label of the Activity description. We can create list of task names and assign to a drop-down list. This helps Project Manager to quickly select a Task and Assign to a Person. Task Name is a required field and it is a string data type Field. Combo box is used to add list of all the Task Names and Select One Task. Here are few more characters of the Task Name field in the Project Plan Templates. Task Names are quick references of Task Description. We can aggregate and summarize the data by task names. It helps to quickly categorize the work into one bucket.